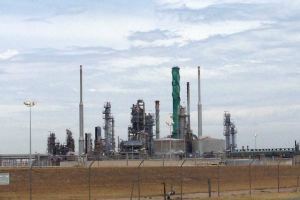 The BP Refinery in Kwinana is located approximately 35 KM south-west of Perth, the Kwinana Refinery started operations in 1955. It is the only oil refinery in Western Australia and it is the largest oil refinery in Australia. Through manufactured products, the refinery supplies most of Western Australia’s fuel needs. In the early 2000’s Amiga Engineering Pty Ltd manufactured and supplied a large range of different sized flanges and blinds. Amiga Engineering Pty Ltd have also manufactured our Australian Made & Owned “Genat and Wood™ Pty Ltd” gearheads and Varmec variators. Our work with the BP Kwinana Refinery is on-going as we are always providing our service and products wherever possible.